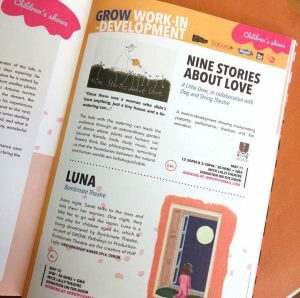 Branar has a steadfast commitment to supporting artists interested in making work for young audiences. Please find below our artist-development programmes which Branar are involved with. For more information, please get in contact or join our artist specific mailing list below. Sign up with your email address to receive artist specific news and updates. 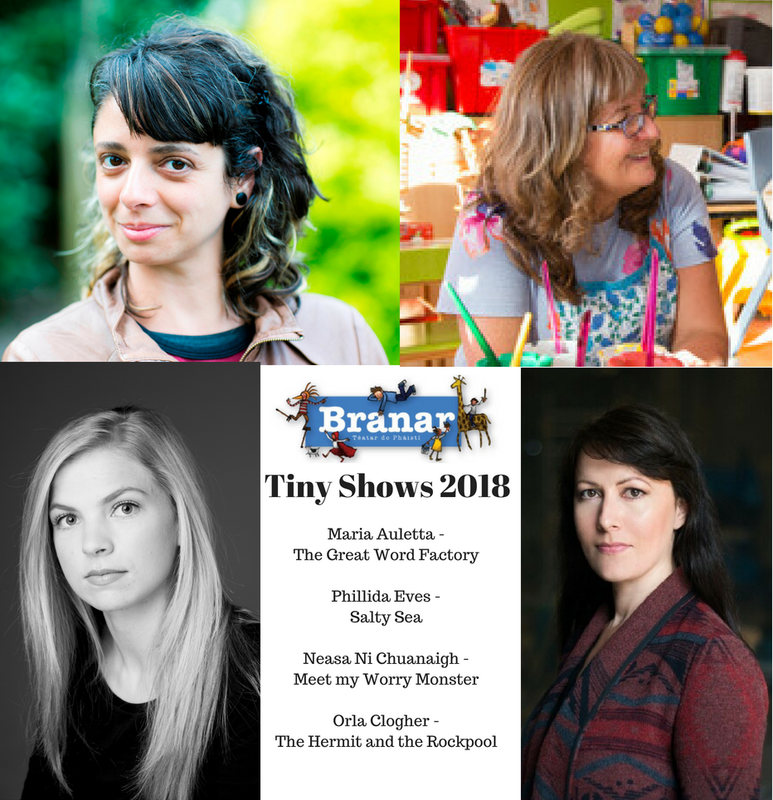 Branar’s Tiny Shows/Seóanna Bídeach initiative offers artists & theatre makers time and space to explore & develop new skills, new roles and new work in a developmental context over a week-long residency. “Hatch” has been developed by Roscommon Arts Centre as part of their ongoing Branar : Connect Initiative. Invitations are extended by Roscommon Arts Centre to two of the Tiny Show participants to spend a a further two week development period in Roscommon Arts Centre with access to the centre’s resources to “hatch” their Tiny Shows, including a work-in-progress sharing. 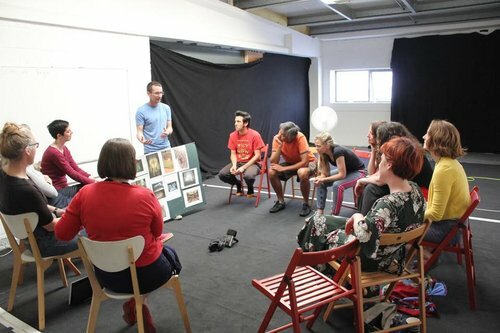 Branar supports a panel of artists who require rehearsal space, production support or dramaturgical support in the development of theatre for young audiences. Join our artist mailing list to receive updates on the call out for new panelists. Pathways to Production is an artist-support programme established by Baboró in partnernship with Branar, Druid and the Mick Lally Theatre and Galway Theatre Festival, to support artists and young companies to develop their ideas with a view to presenting a full performance piece. Applications are now closed for 2018/2019 participants. Branar Téatar do Pháistí is one of the leading theatre companies making work for children in Ireland. We create beautiful, innovative, high quality productions that inspire children and their families. We tour our work to venues and festivals locally, nationally and internationally. We support artists to make work for young audiences through our tailored programmes of resource sharing and Tiny Show creation. We create opportunities for children to explore their own arts practice in school settings.